N 4° 43' 0" and E 115° 4' 0"
Bangar in Temburong District with it's 3,970 citizens is a town in Brunei about 17 mi (or 28 km) south-east of Bandar Seri Begawan, the country's capital city. Current time in Bangar is now 11:40 PM (Friday). The local timezone is named Asia / Brunei with an UTC offset of 8 hours. We know of 8 airports near Bangar, of which one is a larger airport. The closest is airport we know is Limbang Airport in Malaysia in a distance of 7 mi (or 12 km). The closest airport in Brunei is Brunei International Airport in a distance of 18 mi (or 12 km), North-West. Besides the airports, there are other travel options available (check left side). There are two Unesco world heritage sites nearby. The closest heritage site is Gunung Mulu National Park in Malaysia at a distance of 42 mi (or 67 km). 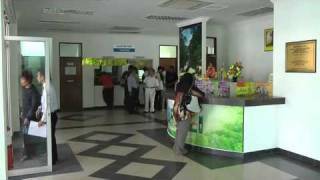 When in this area, you might want to pay a visit to some of the following locations: Bandar Seri Begawan, Tutong, Victoria, Kuala Belait and Kayan Hulu. To further explore this place, just scroll down and browse the available info. Let's start with some photos from the area. 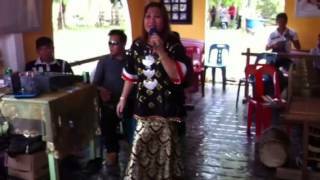 Karaoke pada Perkahwinan Wynna Julain & Gustian di Kpg Batu Danau, Limbang, Sarawak. 12 Oktober 2014. Videoed by Bernard Morais. WHAT...a crocodile..?? a crocodile on river bank somewhere along Temburong River. Located at 4.58333, 115.167 (Lat. / Lng. ), about 12 miles away. Located at 4.87203, 114.921 (Lat. / Lng. ), about 15 miles away. Located at 4.80806, 115.01 (Lat. / Lng. ), about 7 miles away. Located at 4.88306, 114.964 (Lat. / Lng. ), about 13 miles away. Located at 4.82111, 114.907 (Lat. / Lng. ), about 13 miles away. Located at 4.88167, 114.949 (Lat. / Lng. ), about 14 miles away. Located at 4.88, 114.943 (Lat. / Lng. ), about 14 miles away. Located at 4.70833, 115.074 (Lat. / Lng. ), about 1 miles away. Located at 4.68222, 115.192 (Lat. / Lng. ), about 9 miles away. Labu is a mukim in the Temburong District of Brunei. 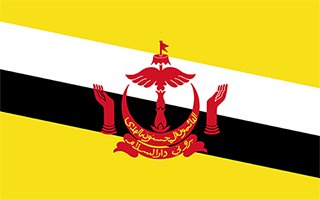 It is located in the north of the Temburong District bordering Brunei Bay to the north, Sarawak to the east, Mukim Batu Apoi to the south, Mukim Bangar to the south-west and Limbang, Sarawak (Malaysia) to the west. Mukim Labu contains several islands: Pulau Selirong, Pulau Selanjak, Pulau Siarau and Pulau Pituat. Located at 4.78972, 115.165 (Lat. / Lng. ), about 8 miles away. Located at 4.88639, 114.969 (Lat. / Lng. ), about 14 miles away. Located at 4.86639, 114.932 (Lat. / Lng. ), about 14 miles away. The Pandaruan River is an international river on the island of Borneo. The river forms part of the international border between Brunei and Malaysia. The river separates Limbang District, Sarawak, Malaysia and the Temburong District, an exclave of Brunei. The river empties into Brunei Bay. There is a ferry service across the river. Located at 4.795, 115.04 (Lat. / Lng. ), about 6 miles away. These are some bigger and more relevant cities in the wider vivinity of Bangar.